For the past month, we’ve been running a special series of articles to mark International Women’s Day 2018. 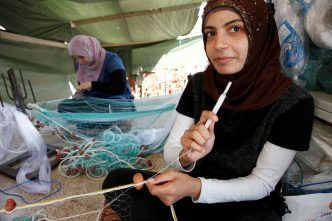 The series has featured posts about women, peace and security from a range of perspectives, including from government, the military, NGOs and think tanks. Have a read of the articles that have been published to date here. International Women’s Day also ensured there was a wealth of analysis on some of the key challenges emerging on women, peace and security, and on women’s equality. The Lowy Institute ran a series of articles on gender parity at the UN, gender equality in Australia’s foreign policy white paper and aid, poverty and gender inequality in the Indo-Pacific. More articles are also available at Australian Outlook and the LSE Centre for Women, Peace and Security. A London train service displayed quotes from famous women on trains. French newspaper Liberation charged males €0.50 more to purchase a copy of the publication to highlight the gender wage gap. IWD is a public holiday in 27 countries, but only for women in China and Madagascar. As flagged last month, Australia’s WPS Coalition launched the 2017 fifth report of the Annual Civil Society Dialogue on Women, Peace and Security. The report card evaluates the national and international policy context for WPS, finding missed opportunities in the DFAT and Defence white papers to reframe WPS as a strategic foreign policy issue. The report card finds shortcomings in the implementation and in civil society participation in Australia’s first National Action Plan for WPS. The creation of the Women, Peace and Security Index in October 2017 established a new framework for measuring women’s equality in three areas: inclusion, justice and security. It aims to measure women’s wellbeing in economic participation, access to legal services, and social and political inclusion. However, there are still debates as to how well the index measures equality. Anne Marie Goetz makes the case that ‘the WPS Index would benefit from additional measures of conflict’, and that other publications such as the Global Peace Index need to include a gender perspective in their analyses. Former Australian Prime Minister Julia Gillard will chair a new Global Institute for Women’s Leadership to be established by King’s College London. The institute seeks to ‘better understand and address the causes of women’s underrepresentation in leadership positions across sectors and countries and the way gender negatively affects the evaluation of women leaders’. The institute’s inaugural panel ‘Gender equality: what’s holding back greater change?’ will be held at King’s College London tomorrow, 11 April. Looking abroad, the UN Peacekeeping Mission in Liberia wrapped up this month after nearly 15 years supporting Liberia’s transition from civil war to democracy. The UN mission set increasing women’s participation in Liberian institutions as a key goal, consistent with the critical role women played in enforcing the terms of the 2003 peace agreement, as well as with the UN’s commitment to WPS as part of UN peacekeeping mandates. 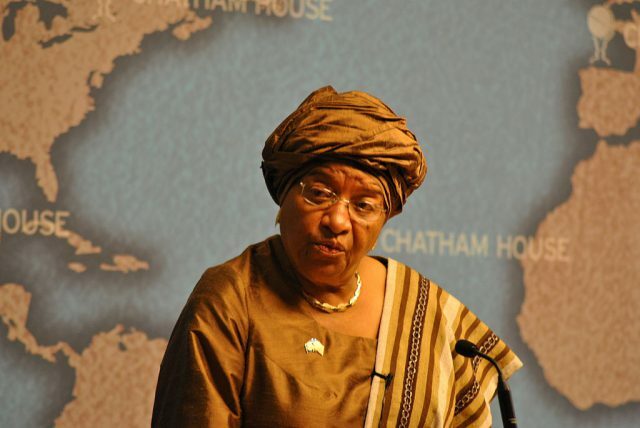 President Ellen Johnson Sirleaf was the first woman elected as the head of an African state (in 2006) and led Liberia following 14 years of civil war. The Council on Foreign Relations notes that Afghan women have played substantial roles in conflict resolution at the grassroots level. Their role becomes even more crucial as Kabul renews calls for the Taliban to join peace talks. Unfortunately, there’s little precedent for their inclusion. In the 23 rounds of Afghanistan–Taliban peace talks between 2005 and 2014, women were at the table on only two occasions. The roles of women in extremist settings are complex, so it’s important to go beyond classifying them as either ‘victims’ or ‘combatants’. ASPI’s Sofia Patel has pointed out that there’s been little progress in incorporating efforts to prevent/counter violent extremism (P/CVE) into the WPS agenda. By way of example, a report by the US Institute of Peace finds that the ability of women and girls to move about safely in the community is a key indicator of peacefulness in Afghan communities, and that gender-based violence is a key indicator of potential violent extremism, yet only the P/CVE efforts of men and boys are identified. Australia and ASEAN have strengthened their commitment to gender equality at the Australia–ASEAN Special Summit by creating the Australia–ASEAN Women, Peace and Security dialogue. The dialogue sits under the mandate of regional security cooperation and will focus on peacekeeping and human rights. On a grander scale, from 12 to 23 March, delegates from UN member states and over 5,000 NGOs met in New York for the 62nd session of the UN Commission on the Status of Women (CSW). The CSW is the single largest annual gathering of women from around the world to discuss gender equality and empowerment. 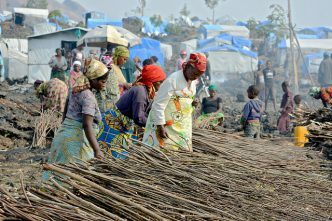 The impact of land rights on the quality of life for rural women and girls was a priority for discussion. A draft of the agreed conclusions can be found here. Elsewhere, this landmark report by Transparency International discloses the prevalence of land corruption in sub-Saharan Africa and its disproportionate effect on women. Estonia held its Women, Peace and Security Conference on 1 March to discuss the progress made by Nordic countries in increasing gender equality in their defence forces. These efforts to increase the number of women in armed forces complement the work of NATO’s International Military Staff Office of the Gender Advisor in acknowledging the utility of integrating a gender perspective into operations. Seventeen of the 28 EU member states have a national action plan for the implementation of UN Security Council Resolution 1325. General Riho Terras, Commander of the Estonian Defence Forces, further noted at the conference that it’s not only about bringing women to the table, but including a ‘perspective and knowledge specific to women’. 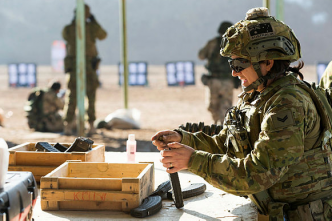 And closer to home, the Australian Defence Force is holding an information session tonight in Newcastle for women interested in a career with Defence. The information session will run from 6–7 pm. If you’re interested, be sure to register. Christopher Dixon, Jessica Clarence, Amelia Meurant-Tompkinson and Melissa Liberatore are research interns at ASPI. Image courtesy of Chatham House via Wikimedia Commons.